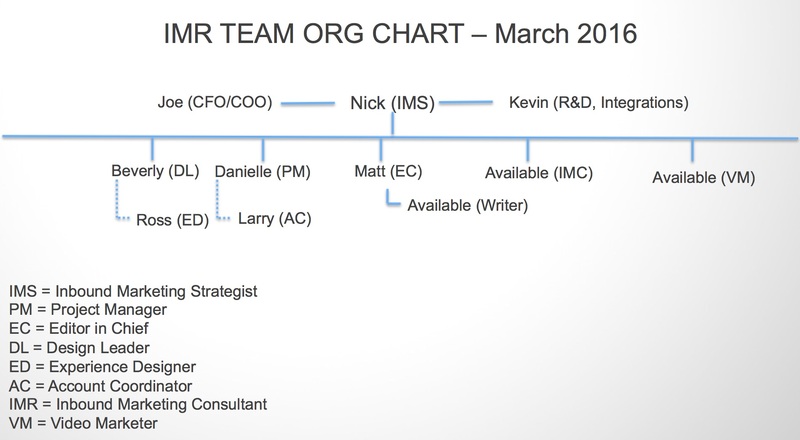 Here's the agency's org chart that I presented to the team during our monthly meeting. I think everybody appreciated seeing where they fit in and also that we had slots open to grow into. We could now see the greater picture. And yes, we're hiring! 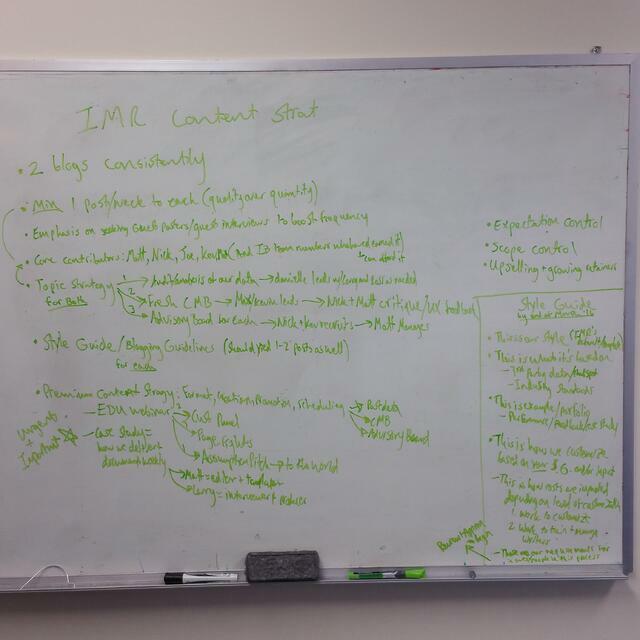 IMR's Chief Content Strategist, Matt Cook and I white boarded out some of the key themes for IMR's content prodcution strategy in Q2 + Q3 of 2016. IMR's chief project manager and resident data junkie, Danielle Winkler, did some digging into our own HubSpot's markeing data for March. 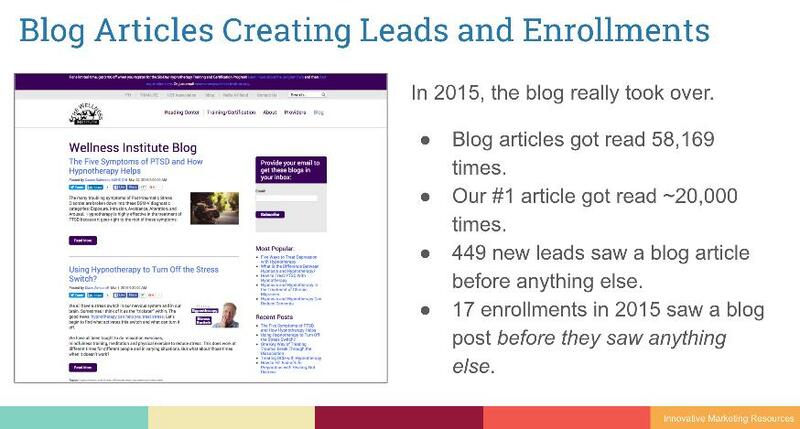 Our highest converting offer EVER on our website is not hosted on a landing page at all, it's embedded at the end of one of our higher education marketing blog posts about student personas. 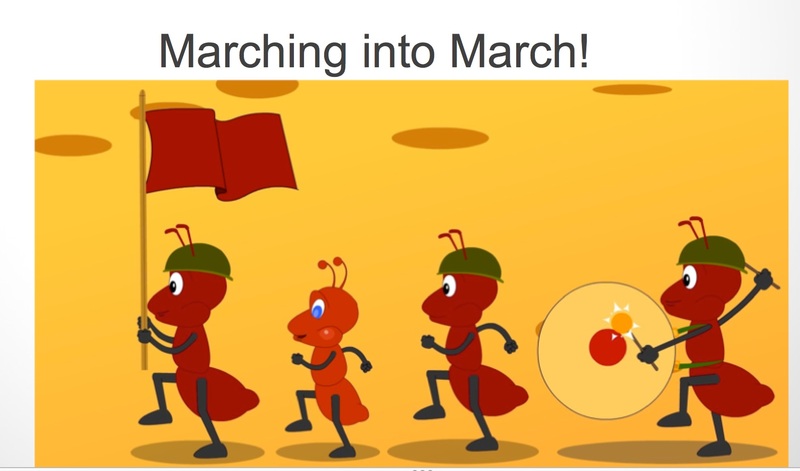 In regards to closing actual sales, we made our number again for March! Two of our 30-day strategy consulting engagements we executed for clients in the month of March converted into 90-day "sprints" of campaigns. Together these two mini-retainers (we prefer to build up to long term retainers nowadays, it's easier for both sides to get to know eachother and reduce the risk of jumping into a long-term retainer right away). 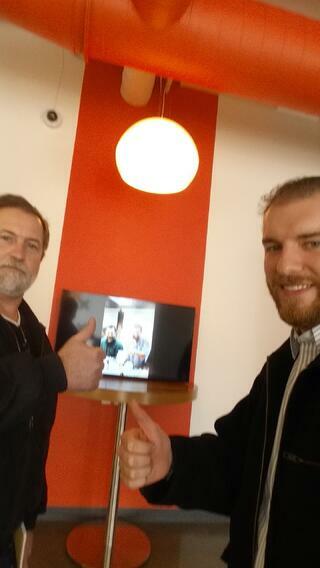 I have a goal to make sure that at least one of our agency team members is visiting HubSpot HQ at least once every month to meet with and learn from their fellow team mates at HubSpot Inc and also to take the occastional in-person client meeting (if the client is local to Boston). We need to make our presence known and show we are availble to help in person! 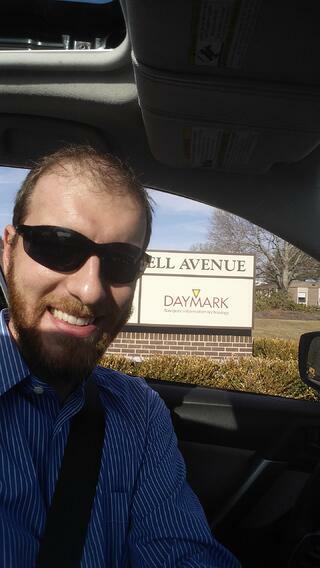 I'm enjoying getting out on the road a bit to meet with clients located close by our offices. 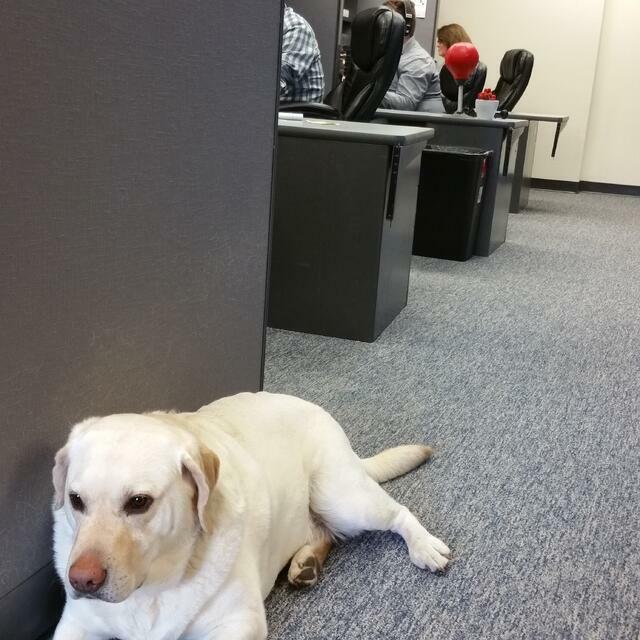 This particular client, Daymark, is located right over in Lexington, MA which is a 20 minute drive away from IMR's offices. 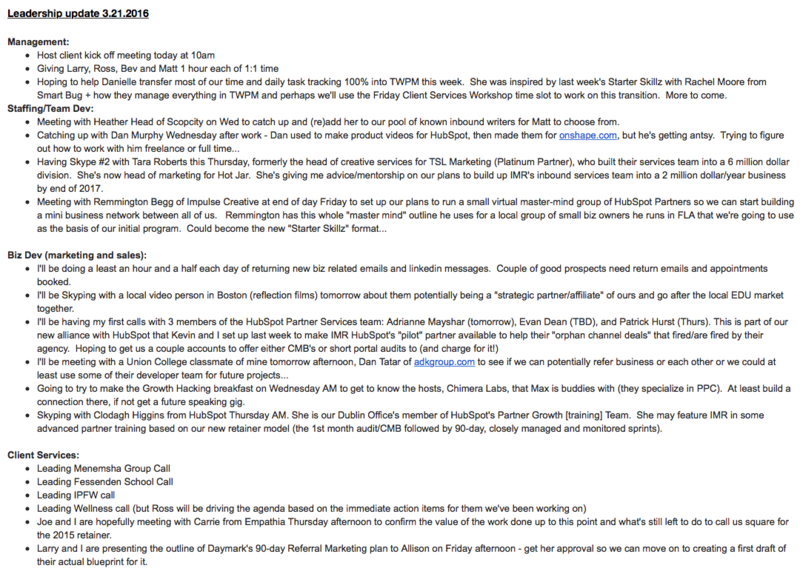 I hardly ever got to meet with my customers in person when I was an inbound marketing consultant at HubSpot - it just wasn't feasable/scalable for that business model. I am seeing that our local clients appreciate us being this available for them and see that our agency's ability to offer real face time and on-site exposure as an added value. It's not just the local clients that are getting more facetime, we have a policy to turn the web cams on at every opportunity and give face time to every client we work with remotely as well. 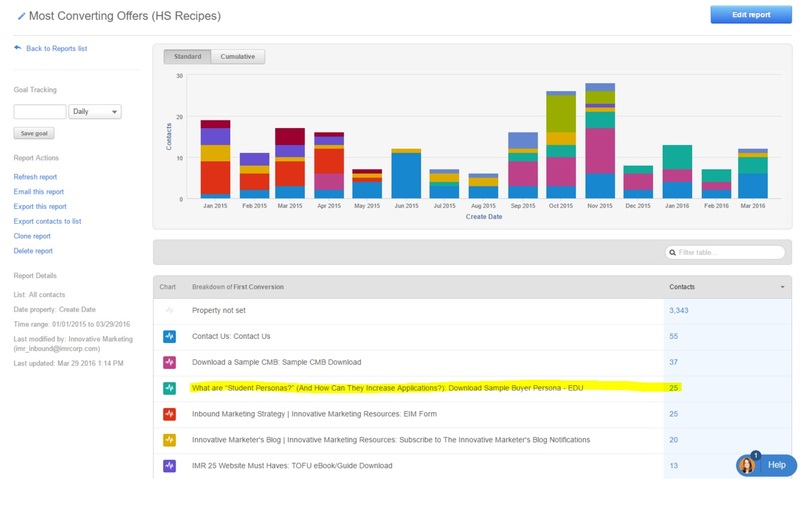 This is a screenshot of us presenting an end of the year ROI analysis to one of our clients located in Washinton state. One of our clients that we do lead gen and blogging strategy for, The Wellness Institute, has achieved some of the greatest inbound ROI (relative to their business size and marketing budget) that I have ever seen! This is why we do it. 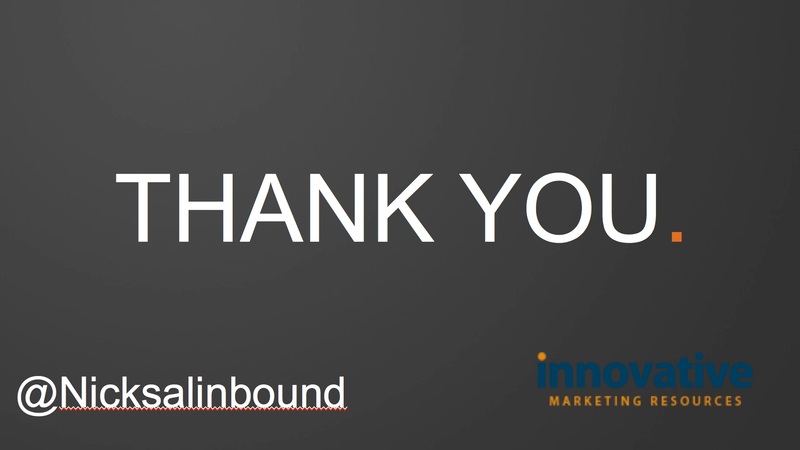 There is nothing more thrilling than seeing a great organization that you believe in succeed through going inbound. The content we helped them create proved to be key sources of new students and revenue for the institute. 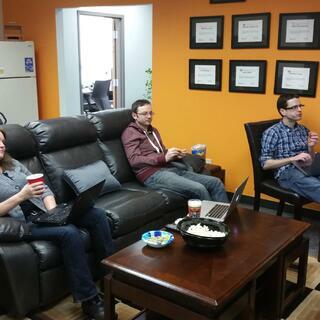 We had our first IMR Team Movie Night in March. This is an event where 1 Friday afternoon a month (originally was on Monday, but they noted to move), we kick back towards the end of the day and watch some interesting documentary that might pertain to our industry/our craft. In March we watched Show Runners, a documentary on Netflix that talks about some of the highest stakes content creation of all - TV series. The documentary is great and really dives into the crazy, high-stress/high reward lives of the people who help make the most popular shows we watch today. 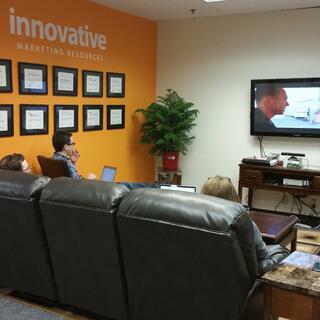 Overcommunicate is one of our team values. Therefore, I try to send these updates out at the start of each week so people know what I'm working on and they continue to have a "seat at the table" when it comes to our plans. Since so many of my activites don't make it into our project management system that our team reviews every day, I want them to know the other things I'm doing as a partner and leader in our agency to help us grow our resources, opportunities, and team. Hey look! It's Joe's dog Riley! He comes and hangs out with us a couple days a week. How was baby Grantham doing in March, you ask? He was awesome as usual. Smiling a lot and chewing everything in site. 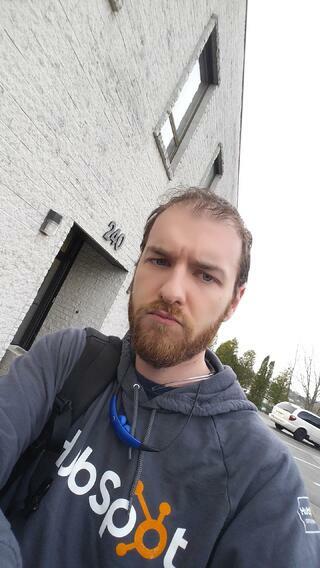 I snapped a pic as I was walking into the office on April 1st, ready to start another month on this awesome journey! 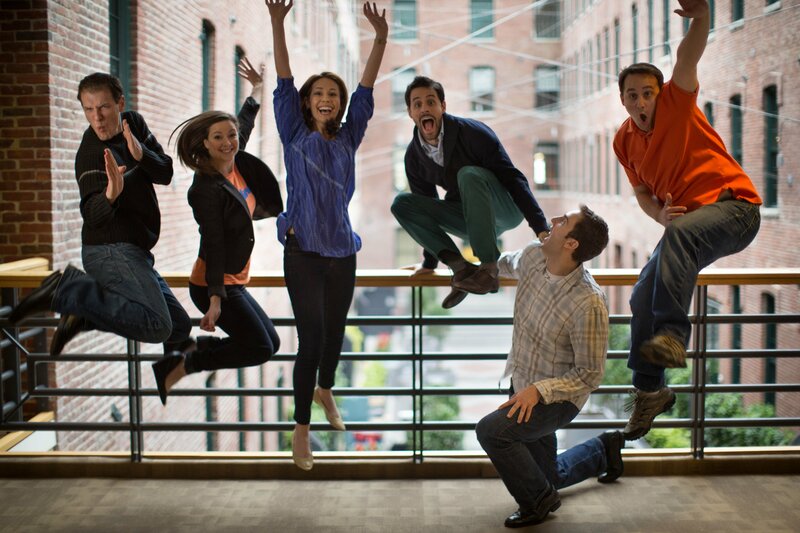 Note the official HubSpot Agency Partner sweater from February's Platinum/Diamond Partner Kick Off. So fresh! Well, you just heard about my month. Now we ALL (myself and my subscribers) want to hear from YOU. If you do work at a marketing agency, you relate to you relate to what it was like during your first few months in the agency world? 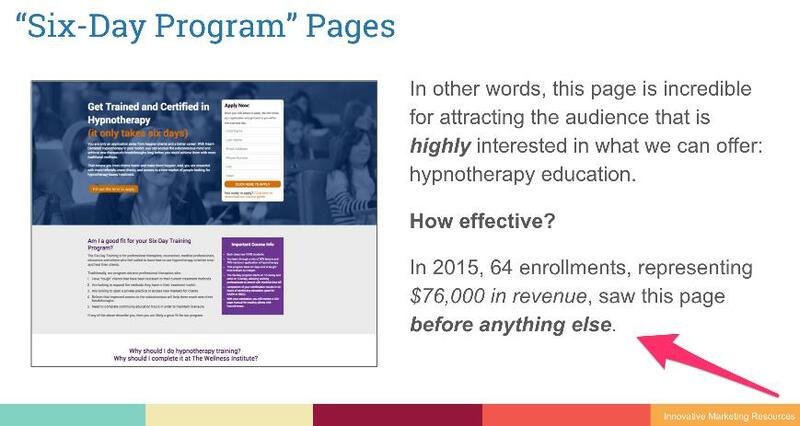 If you're a marketing manager yourself, what about the ROI example from the Wellness Institute? 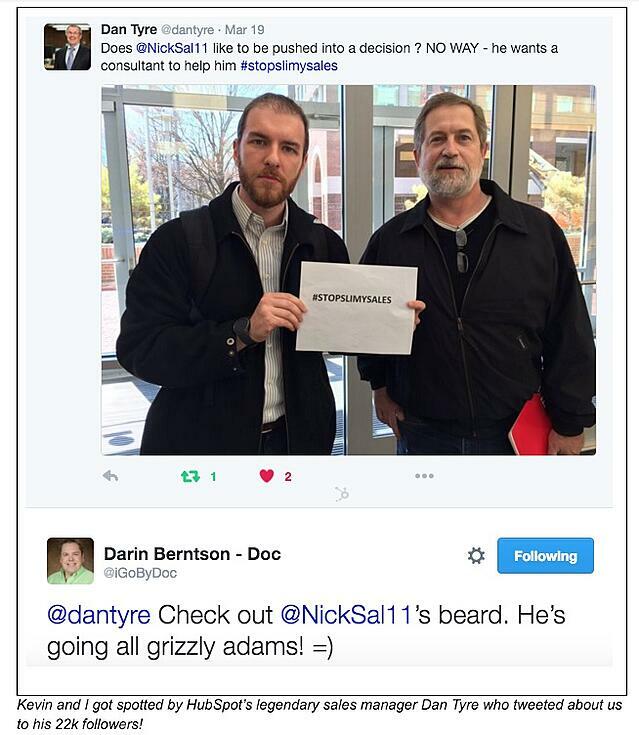 Questions about the tactics we used or even the data we reported? What can I drill into from my experience in March to share with you? What examples does my story bring up from your own experience? Share with us in the comments below, please. How are you doing with balancing life leading a small business with your family life? Any tips/advice? Always welcome! Thanks for reading and also for your patience waiting for me to get this post out (I've been chipping away at this in the evenings for what seems like 2 weeks now). I pledge to get my next post out sooner! 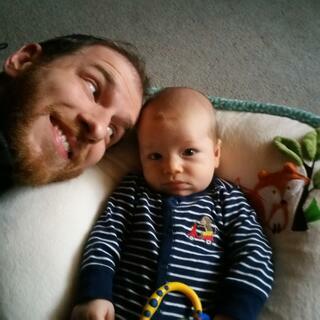 New Dad, HubSpot Alumni, Agency Partner Team Leader, Small Business Growth Dude.